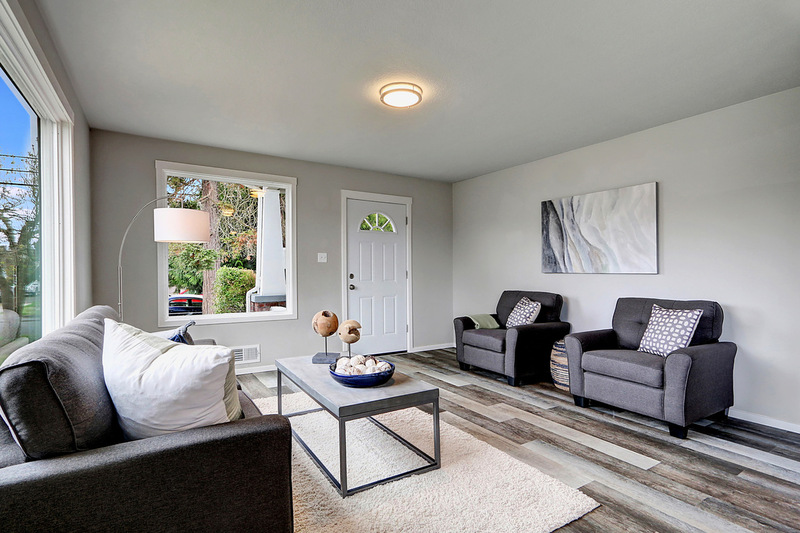 Modern meets classic in this adorable, updated 2-bedroom Tacoma craftsman! This beautifully updated home strikes the perfect balance between classic details and modern updates. 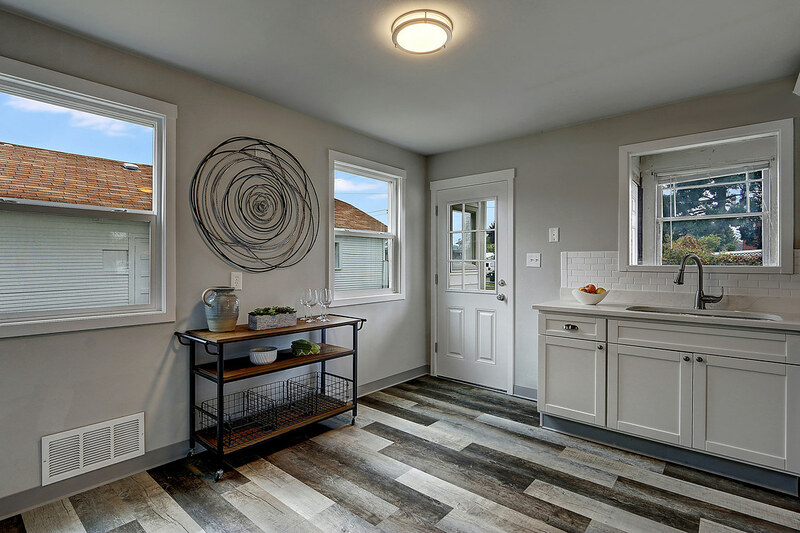 Fresh finishes, rejuvenating natural light and charming, thoughtful details make this a perfect place to call home. Let yourself be drawn in by the welcoming front porch just waiting for some colorful flowers. Add your favorite patio chair and you’ve created the perfect spot to catch a breath of fresh air on a summer evening. 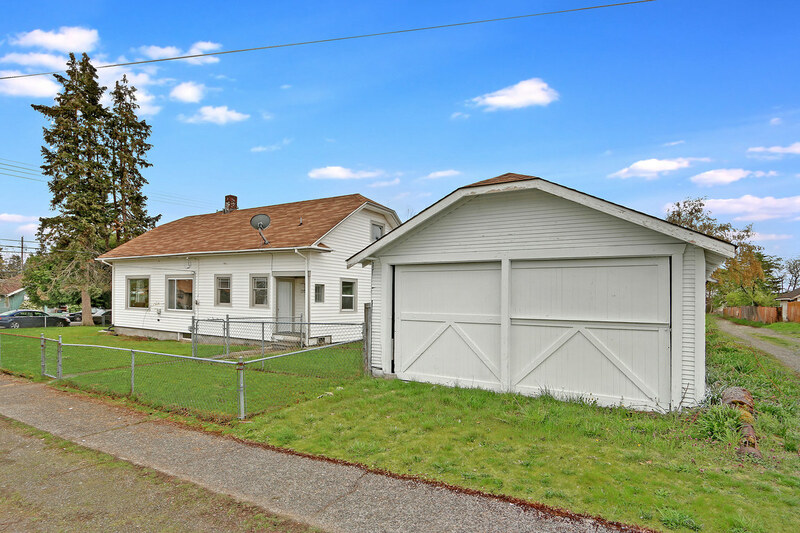 Located at 6402 S. Warner St Tacoma, WA 98409, this 2-bedroom 1-bath home is listed for $249,500. 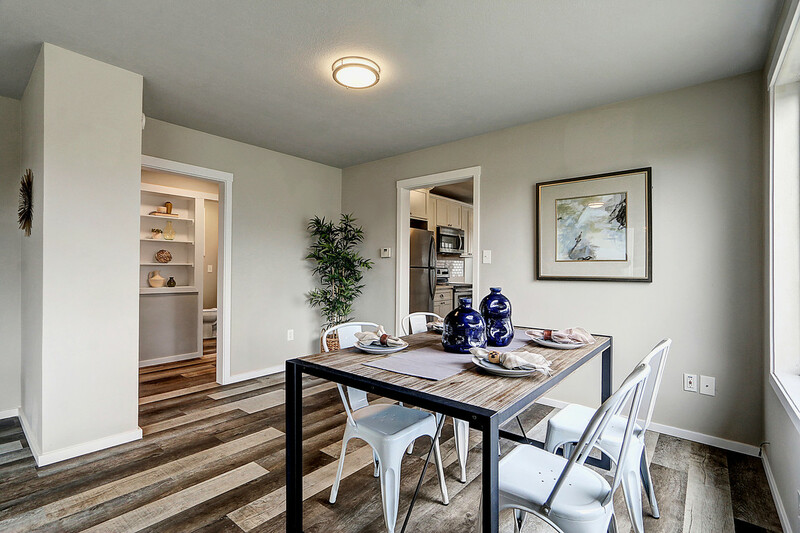 Inside, fresh new paint, vinyl plank floors and wall-to-wall carpet elevate the classic details you’ll find here. Natural light beams through two large, new picture windows in the main living space, and the adjacent dining area is cheery, with another light-filled window. This home’s kitchen sparkles with gleaming new white cabinetry, subway tile, quartz countertops and even more windows. 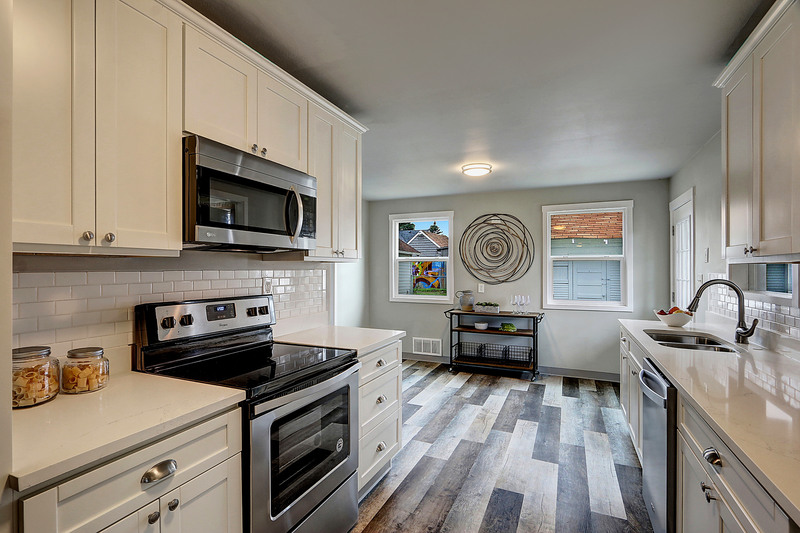 Preparing meals here is a dream with stainless appliances, generous counter space and classic hardware details. There’s even space for a bar cart or a cozy kitchen table where guests can join you. After all, the best parties always end up in the kitchen. 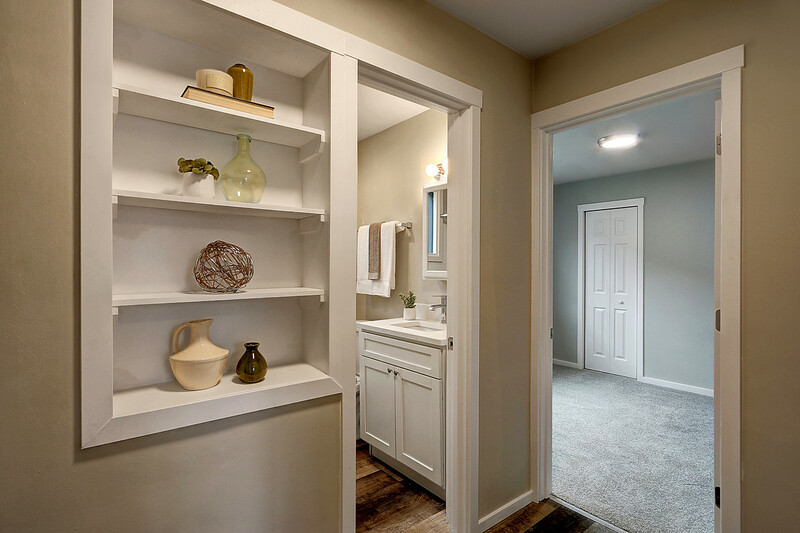 The hall leading to two bedrooms and a full bath features crisp built-in display shelves, preserving the character that helps to make this home special. A window in the laundry area helps to make wash days a little brighter. The extra storage space here is welcome, or store belongings in an additional 225 sq. ft. of basement bonus space that could also become a fun getaway for music or crafting. Outside, the shop is just the place for those more rustic hobbies. 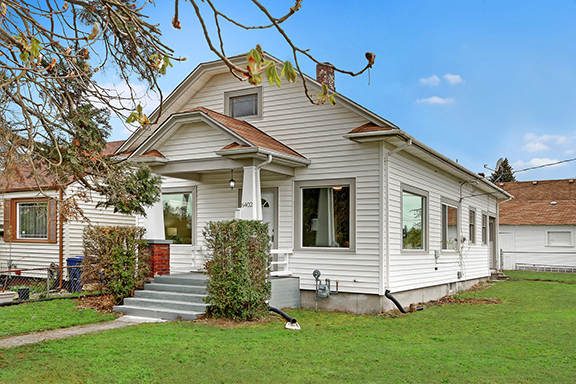 It’s housed in a two-car detached garage on this home’s fully-fenced corner lot. 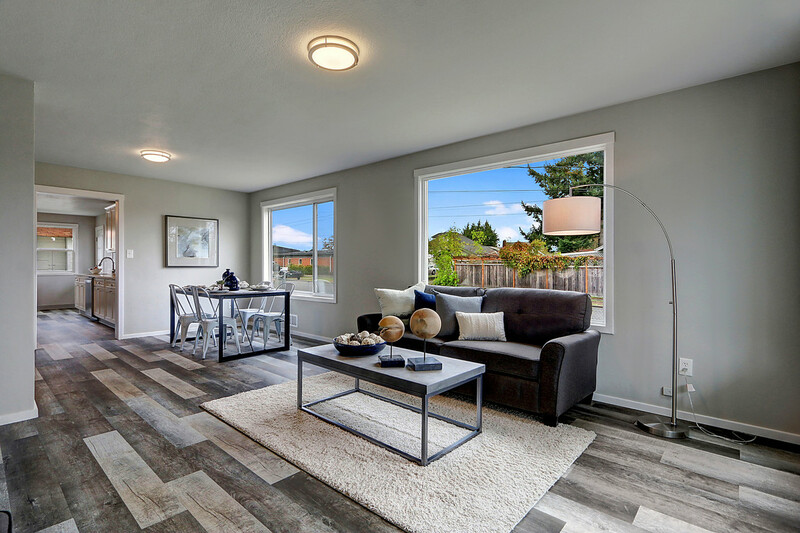 Here, you’re just a short drive from the Tacoma Mall and a variety of restaurants and everyday destinations that make this area so convenient. 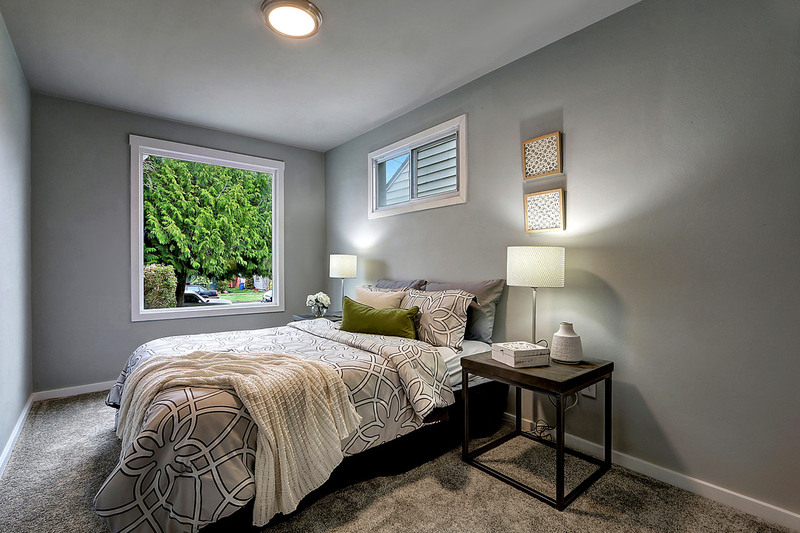 Commuters will love that I-5 is less than five minutes away. The SERA Campus (South End Recreation & Adventure) is nearby and offers athletic fields, Tacoma’s newest sprayground, and STAR Center with its fitness center, Treetops Playgrounds, event spaces and Metro Parks sports complex. You can also contact REALTOR® Kristin Niebergall online here or give her a call/text at (253) 381-7170.